At RF Bathroom & Kitchen Products it is our goal to beautify overlooked areas of your home. Locally-designed and made from durable and efficient materials our laundry troughs and sinks are able to increase the appearance and environment of your kitchen or laundry. In our 15 years of business we’ve found that property owners often neglect their laundry, thinking of it as an incompatible part of the overall design and style of their home or business. Thanks to our range of premier laundry troughs and sinks you can stop hiding your laundry or cringing each time you walk in. Our laundry sinks are the simple and effective way of heightening the look of any space, creating a cleaner and more focused design that will blend well with the rest of your property. A consistent and eye-catching design throughout your home or office not only makes those inside feel more relaxed and comfortable, it can add value to your property. If you want to invest in a durable and well-made product with professional installation and unbeatable customer service, look no further than the experienced team at RF Bathroom & Kitchen Products. We’re proud to be a leading supplier of laundry troughs Melbourne, Adelaide, Sydney and Brisbane locals can rely on. Our products are the pinnacle of functional style, providing you with a sink that will help to bring the room together, while also serving as a versatile storage option. Available at affordable prices, and made to last, our detailed laundry troughs and sinks ensure Melbourne residents live in a home that is comfortable and stylish all year round. So if you’re searching for ‘bathroom and kitchen supplies near me’ you can’t go wrong with the trusted and reliable team at RF Bathroom & Kitchen Products. RF Bathroom & Kitchen Products have built their reputation as wholesale suppliers of elegantly practical products at exceptional prices. Whether you are a plumbing retailer, builder or contractor, we can supply quality Australian made products for your needs. All the technical specifications are available to view on our website, so you can take the measurements to your client or provide an accurate design plan for approval without hassle. If you do have further questions, however, our expert customer service team would love to hear from you. Call, or send us an email, and we will provide further details on any of our stocked products or custom designs. 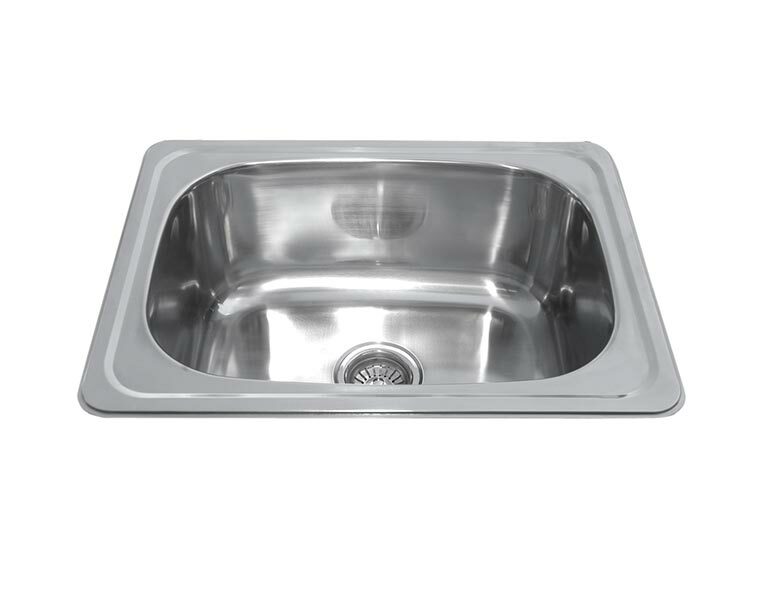 Are you searching for a store that stocks our laundry troughs and sinks? Sydney, Adelaide, and Melbourne customers can easily find a store near them. 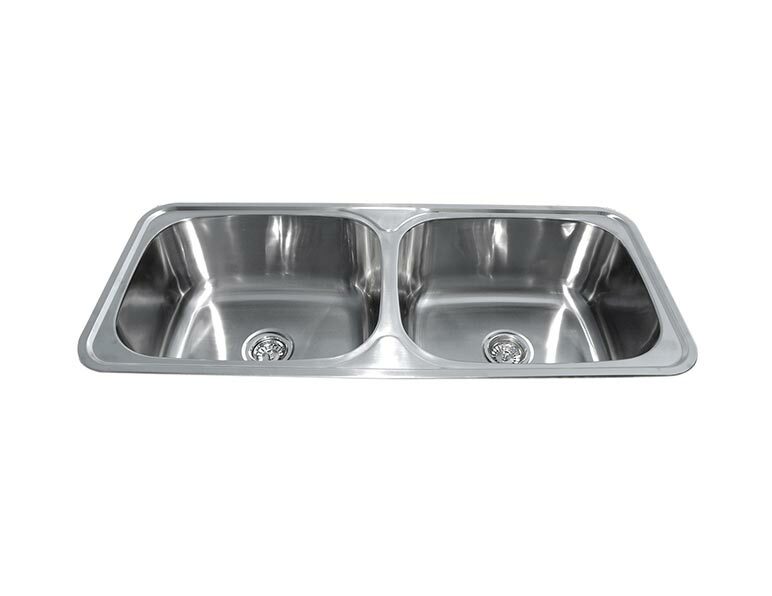 With suppliers throughout the eastern and southern states, RF Bathroom & Kitchen Products is your reliable choice for laundry troughs and sinks from Adelaide to Sydney, Hobart to Brisbane. Alongside our range of laundry troughs, we also supply cabinetry to help you keep everything organised and make the most of your laundry space. Both our metal and timber cabinets are available in a beautiful gloss paint finish, with plenty of storage space, a bypass kit and basket waste included. Our cabinets can serve as standalone units, or connection points to be used by professional plumbers and DIY homeowners when installing washing machines. Laundry tubs are available in double inset or single inset designs with a practical and durable stainless steel construction. Perfect, no matter whether the trough is being fitted in a large mudroom, or space saving European laundry. Enjoy the flexibility of these simple and practical designs that have stood the test of time. An easy-to-use laundry sink is a must for every modern home. That is why we supply affordable, heavy-duty designs to meet all your laundry needs. To begin upgrading and updating your home speak to our professionals directly about the benefits of our laundry troughs and sinks. Melbourne, Adelaide and Sydney locals can call us on 03 9796 3969. © 2019 RF Bathroom & Kitchen Products. All Rights Reserved.